When the optional Hillsboro B&W Conversion Kit is installed in either a Hillsboro steel or aluminum truck bed, the B&W Companion Flatbed 5th Wheel Hitch utilizes the B&W Turnover ball under bed mounting system, which means you can easily remove the Companion Flatbed Hitch and use your truck for hauling other items when you are not towing. If you already have a B&W Companion 5th Wheel Hitch in your truck with an OEM Truck Box, you can use your 5th Wheel Coupler and only need to change the base. The flatbed base required is not as tall to reduce hitch height. 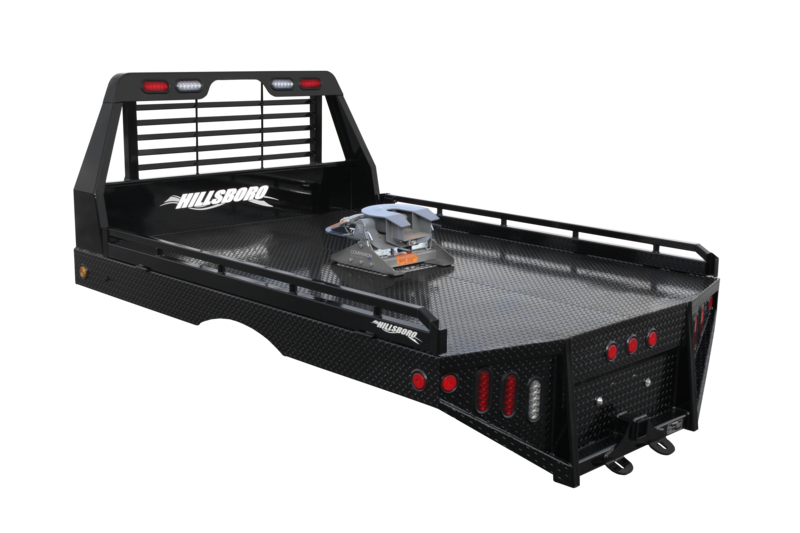 The B&W Companion Flatbed 5th Wheel Hitch is sold through B&W Authorized Dealers.